Frosting, jimmies and a heart on top - our new cupcakes are made with a lot of love! 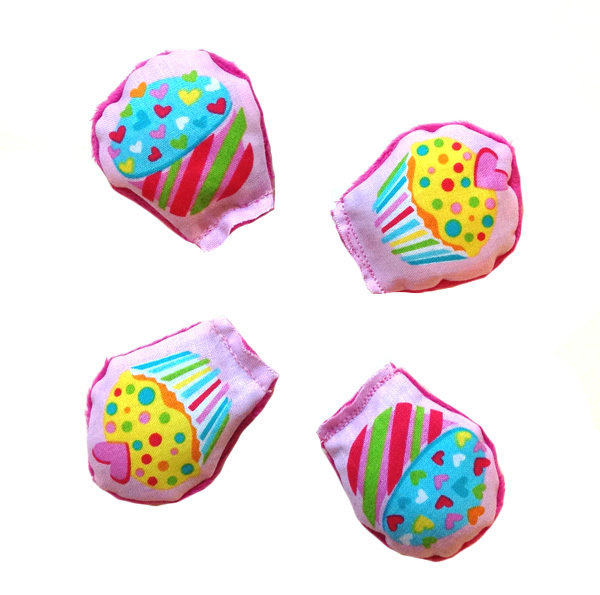 Hot out of the oven, these cupcakes are handmade from assorted 100% cotton fabrics and backed with a pink extra soft soft minkee fabric. This toy is filled with lots of our 100% POTENT organic catnip.